One day, out of the blue, a strange island has emerged in the ocean southwest of the Arc Continent. It's extremely unstable, with its daily topographical change, messy mana flow, and frequent earthquakes, and for some reason heroes of bygone eras constantly show up on this island. Meet these heroes who traveled through space time and landed on the Lost Island. The Lost Island is accessible only at certain periods. 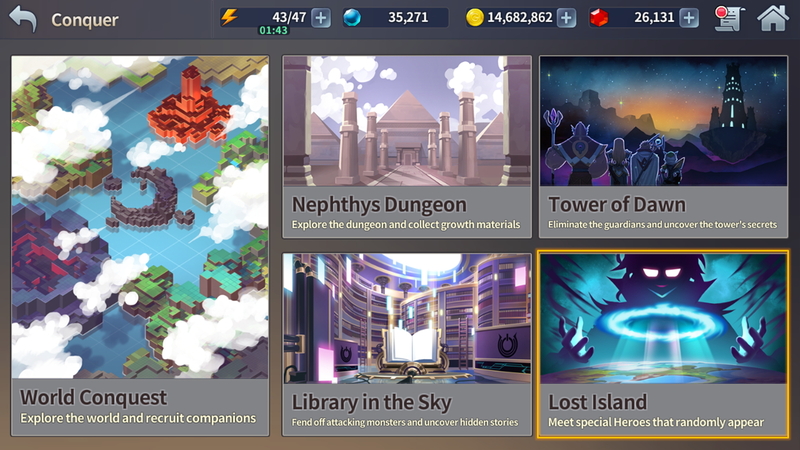 A different dungeon opens every time you access the Lost Island. The Lost Island features a different Hero with a different story every time. 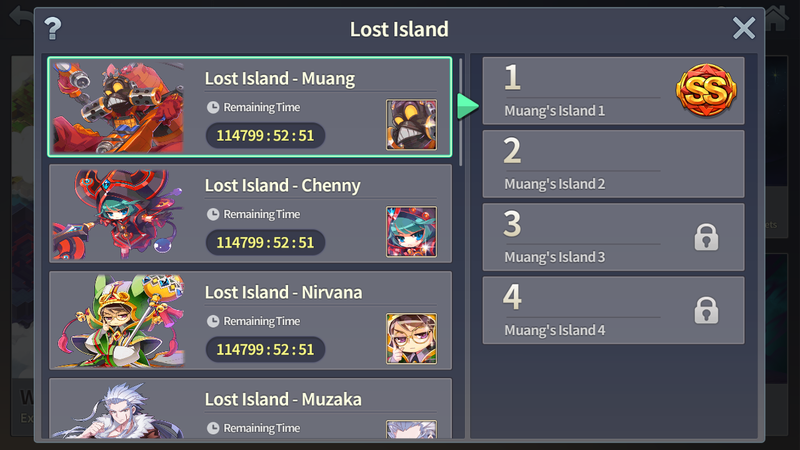 The Lost Island consists of 5 stages. The higher the stage, the better your reward. In the Lost Island, you can obtain the Genes of the featured Hero.